Safe Environments can come to you onsite at your workplace throughout Sydney and NSW to undertake mobile audiometric testing. 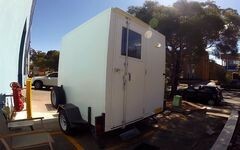 Our mobile testing booths are trailers that are towed onsite taking up little room, some 2 x 2.4 meters in length. The acoustic enclosure reduces the noise to meet the Australian Standards AS/NZS 1269.4 Audiometry Assessments, so that accurate baseline and reference audiometric testing can be undertaken prior. The benefits of mobile audiometric testing at your workplace include reduced downtime for employees travelling to medical centres which may not meet the background noise requirements. Our onsite audiometric testing includes confirmation of the background noise levels to ensure compliance to the NSW Workplace Health and Safety Regulations. Outside Sydney and in Regional NSW ? If your workplace is outside Sydney, we regularly travel throughout regional NSW so that we can in your next series of audiometric testing onsite. The mobile testing booth allows accurate monitoring audiometry to assess whether workers may exhibit Temporary Threshold Shifts (TTS). TTS is critical to identify, as this indicates that control measures are not working and controls requires to be assessed, before permanent hearing loss occurs. Whether its winter or summer, our mobile audiometric testing is climate controlled with reverse cycle air conditioning to ensure comfort of both of the worker and the audiometric testing person. All that we require is access to power, failing that our onsite mobile trailer can be powered by a quiet generator. Being onsite we can also assess the relative protection of ear plugs by assessing the Personal Attenuation Ratings (PAR). This is conducted through the Berksy audiometric test with the hearing protection in and then out. 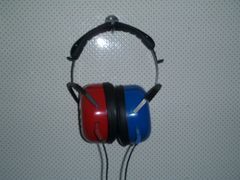 This ensures that we know that the workers are wearing the hearing protection properly. 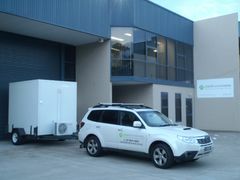 If you are in Sydney or regional NSW and require onsite audiometric testing, please contact one of the Occupational Hygienists at Safe Environments to arrange onsite testing with our mobile trailer.